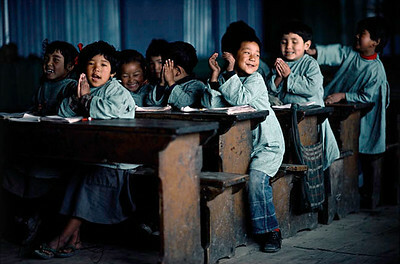 Only a hundred thousand Tibetans left their homeland in the wake of the Fourteenth Dalai Lama in 1959. 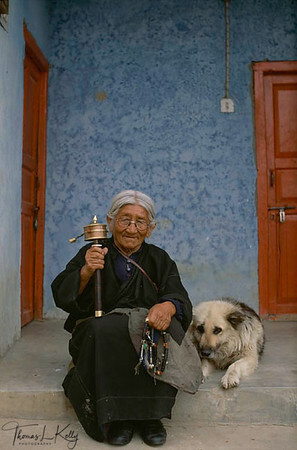 Thirty-five years later, small but flourishing Tibetan lay communities exist in most large cities of America, Europe and East Asia, hundreds of Tibetan gompas and temples have been built in the Indian sub-continent and around the world, and Tibetan Buddhism has become one of the fastest growing religions on the planet. 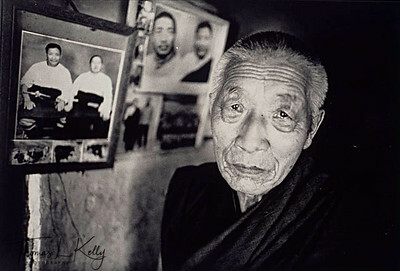 The Dalai Lama himself, a winner of the Nobel Peace Prize, has international status as a man and politician of rare, if not unique, integrity, and has assumed a high media profile in his crusade for the survival of Tibetan culture and for the oppressed people of his country. 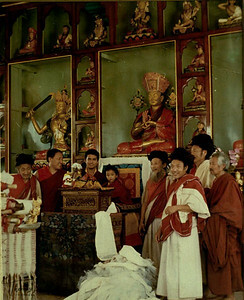 The Dalai Lama is the spiritual leader of the Geluk order and his name is well known, but performing the same quality of spiritual guidance are scores of other lamas with similar status within their communities of Tibetan, Asian and Western disciples. How has this tiny number of representatives of a nation of four million people achieved such international renown? Khenpo Tenzin Namdak @ Triten Norbutse gompa in the Kathmandu Valley. 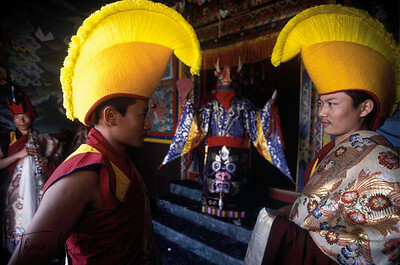 Gelukpa Monks announce the arrival of a dragon horned, masked dancer known as Zema Gucham, a sungma (protective deity) for the Bonpos. Monastic ritual, Triten Norbutse Monstery, Kathmandu. 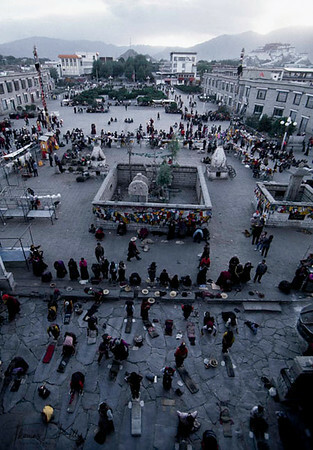 Tibetan refugees come from all over Tibet to prostrate their way to enlightment at Jhokhang Monastery, one of the holiest temple in Barkor, Lhasa. 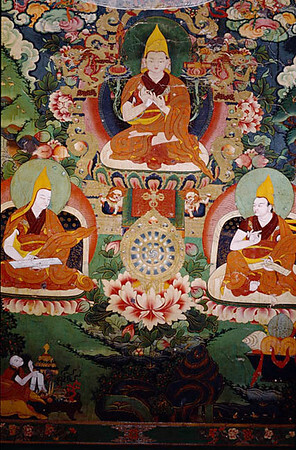 Tsongkhapa. 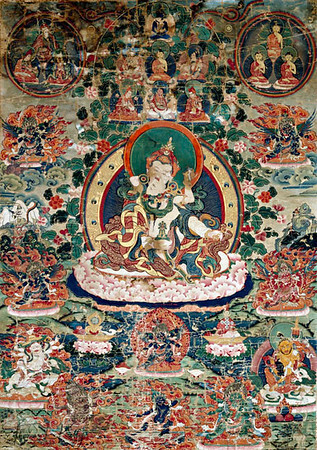 (1357-1419) Great commentator of The Six Yogas of Naropa. Dream Yoga.-At night, strive to ivoke the self-purification of confused dreams. Milarepa. Tif. 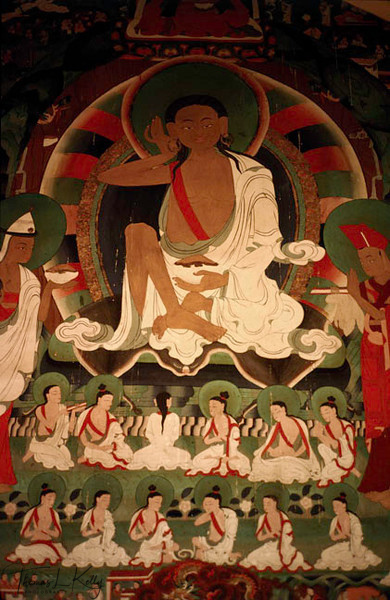 Saint Milarepa (AD 1040-1123): A singer of illuminating songs. The life of Milarepa was an epic of betrayal and vengence, repentance and enlightment. 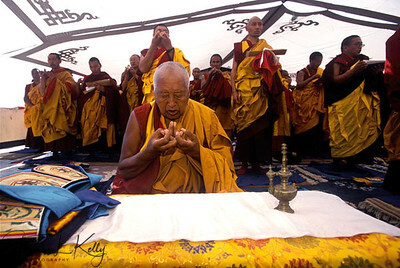 Bodhgaya, Kalachakra initiation. 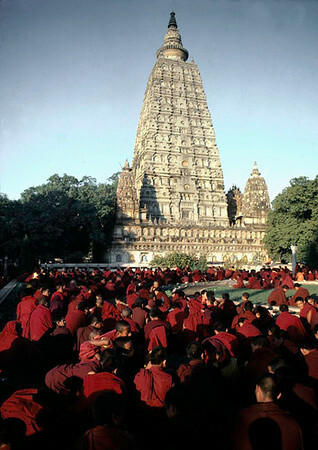 India Monks attending the Kalachakra Initiation at the Mahaboudhi Temple in Bodhgaya, India. 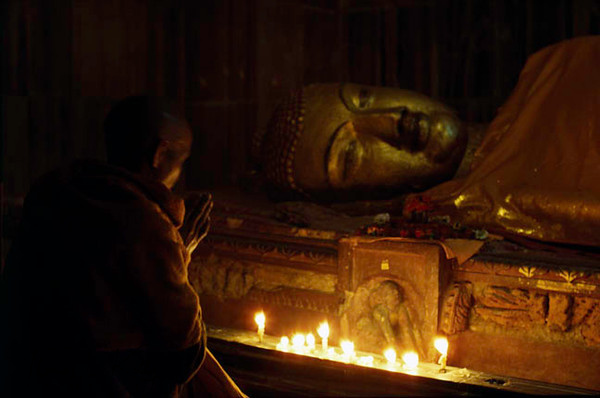 The Mahabodhi Temple marks the site of BuddhaÕs enlightment twenty-five hundred years ago. 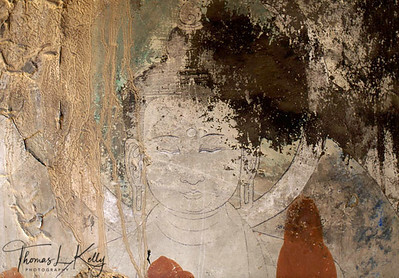 Buddhist fresco, Phuntsoling Monastery, Central Tibet. Student: What caused the war between the Chinese and the Buddhists? Trungpa Rinpoche: Well, the Communists donÕt like meditation practice. They think it is a waste of time. They think that people should be working all the time. Meditation produces too much personal strength. The communists want to produce group strength, not personal strength. They do not believe in the basic goodness of the group. ThatÕs why it is called communism; thatÕs it a nutshell. 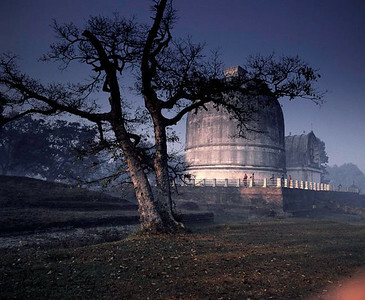 Kushinagar-India. Just as death and impermanence was BuddhaÕs first teaching, it was also his first one. Some forty-five years after his enlightment he announced that he had completed his lifeÕs works, and requested that his principal disciples meet with him in Kushinigar in order to be with him during his final days. On the day of his passing he delivered a final discourse to the gathering, entered meditation, and with full awareness departed from this world. 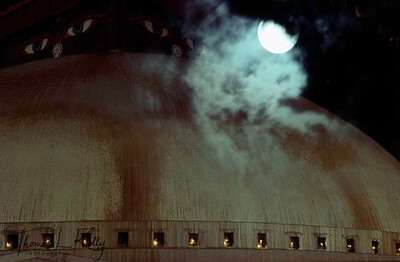 Boudha stuppa. Whoever offers lamps to the Great Stupa Illuminates the darkness of unknowoingÉ All wishes will be granted and even Supreme realization and spiritual power my be attained. 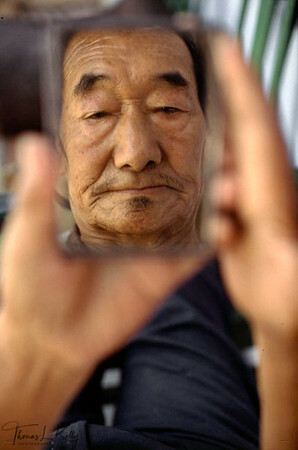 OLD AGE REFLECTION. Tibetan Old PeopleÕs Home, Rajpur, India. 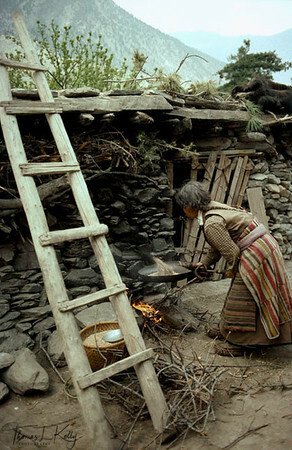 Hinayayana/Compact Way-Individual Liberation. 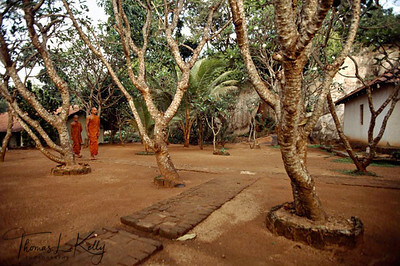 Sri Lanakan monk sets off for morning prayer. Sri Lanka. 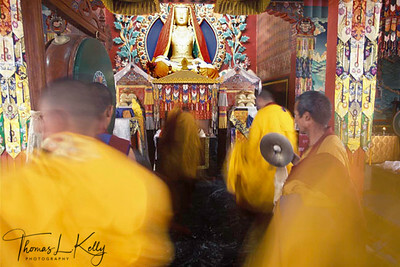 Monks attendants @ Kalachakra Initiation, Bodhgaya, India. 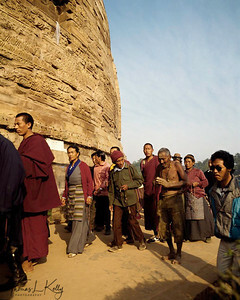 Pilgrims, Monks and prostrator circumambulate Stuppa. Saranath, Deer Park. India. Budhist pilgrim circumambulates at the deer park in Sarnath, India, site of the BuddhaÕs first teaching. 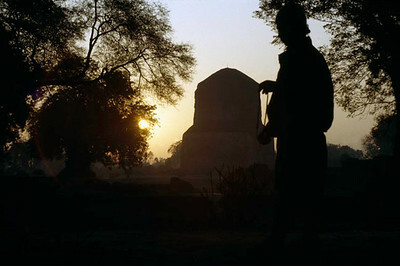 At Sarnath the Buddha taught the truth of impermanence, that all things cease and die only to rise again. He also showed a way beyond this wheel of becoming and dissolutionÓ. 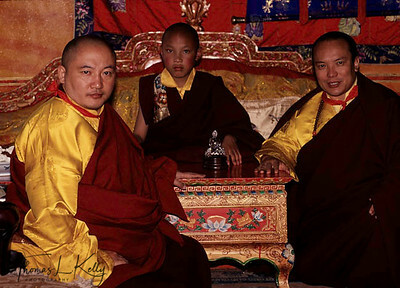 Young Rimpoche with his spiritual teachers, Tongdens in their white robes. These great teahers combine the Buddhist path and with yogic teachings. 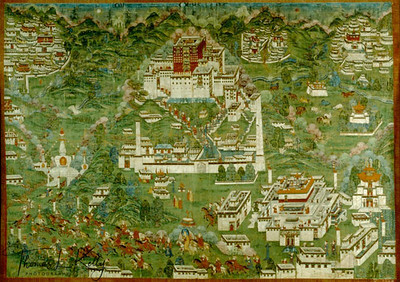 Painting of Power spots of Lhasa. 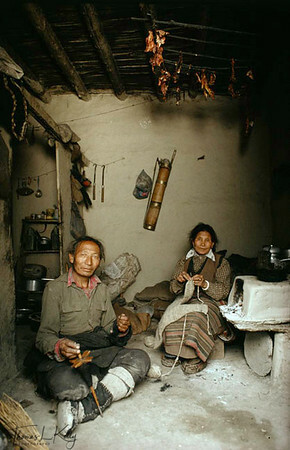 An elderly couple spinning wool, Tseruk resettlement camp, Thak Khola, Nepal. 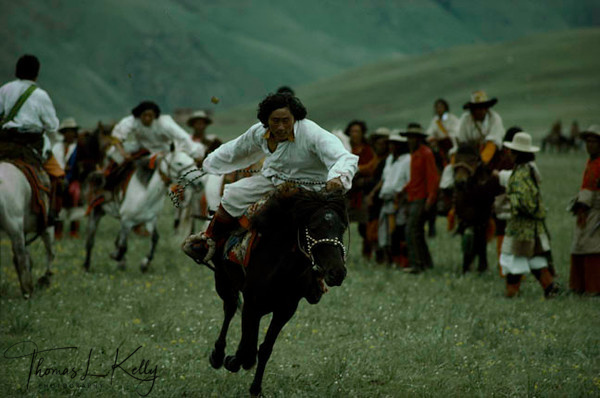 "I remember the yaks and sheep, the wide open grasslands.." The butter and yogurt were always fresh and pure... 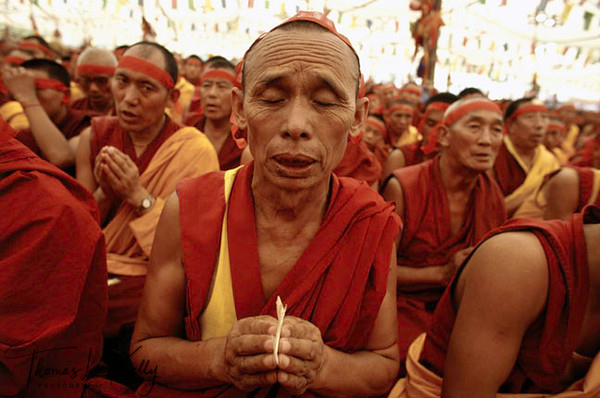 I pray that Tibet will soon be free and that I can return and die in homeland." 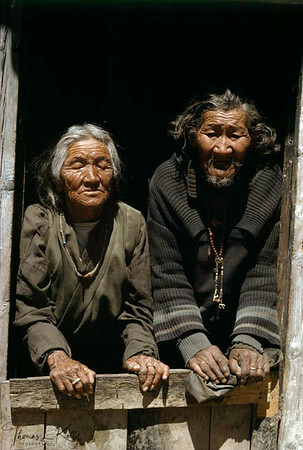 Older Tibetan refugees at Marpha Refugee camp. 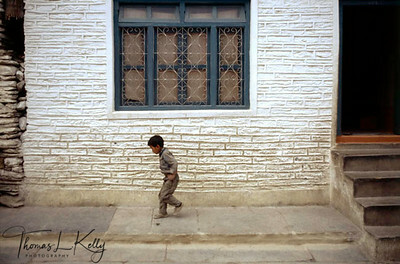 A boy tibetan refugee playing at the courtyard of Marpha Refugee Camp. 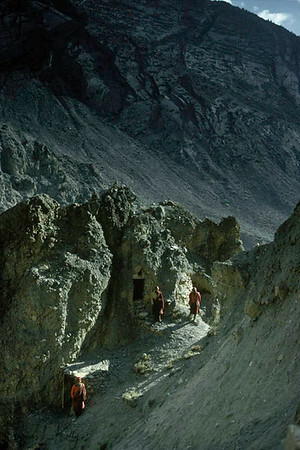 Marpha Village; Mustang; Kali Gandaki region; Nepal. Buddhist fresco, Phuntsoling Monastery, Central Tibet. Student: What caused the war between the Chinese and the Buddhists? Trungpa Rinpoche: Well, the Communists donÕt like meditation practice. They think it is a waste of time. They think that people should be working all the time. Meditation produces too much personal strength. The communists want to produce group strength, not personal strength. They do not believe in the basic goodness of the group. ThatÕs why it is called communism; thatÕs it a nutshell.